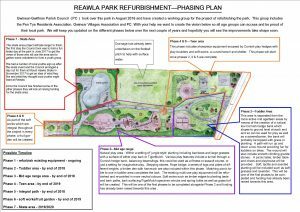 Works to Reawla Park for the Toddler area and Mid Age Range area will start from the 1st August 2018, please contact the Parish Council if there are any issues on site. Works on Areas A & D should take place from April 2018 through to Sept 2018. 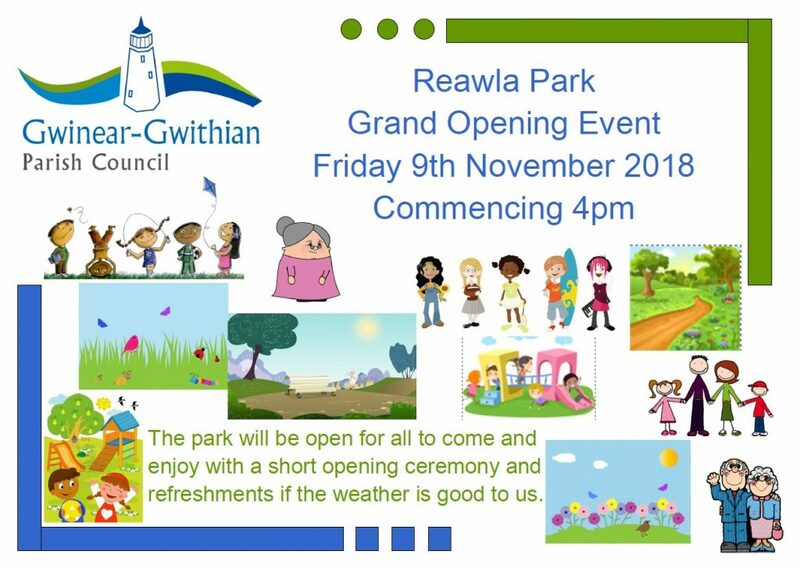 The Gwinear Villages Associations (GVA) has applied to GGSCF for a grant towards the park and I am pleased to say the grant was successful, this grant will help refurbish the toddler and mid age range areas. 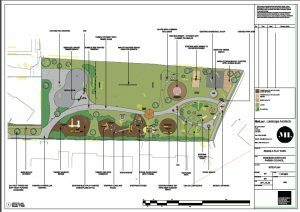 The PC has had some success already with grant funding with £7210 being donated from Cornwall Council’s Devolution Fund towards a skate park project. 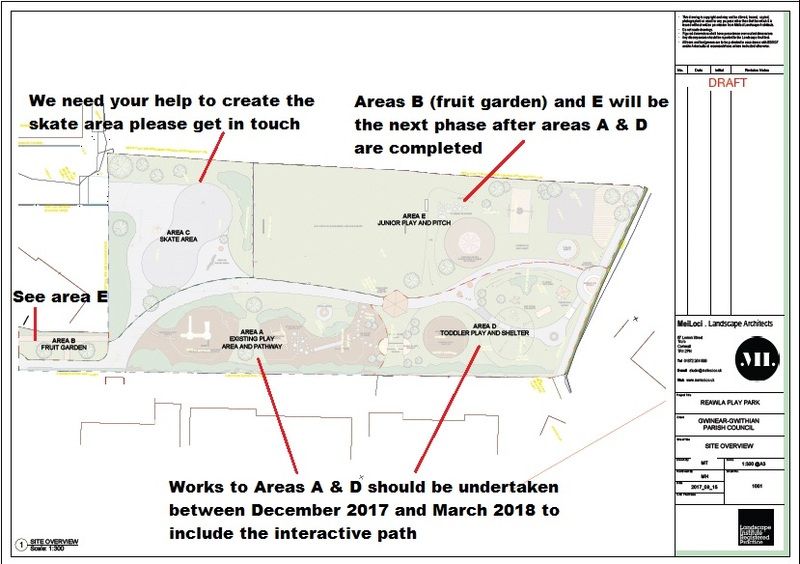 The Parish Council (PC) was successful in getting the park devolved to parish level from Cornwall Council in August 2016. 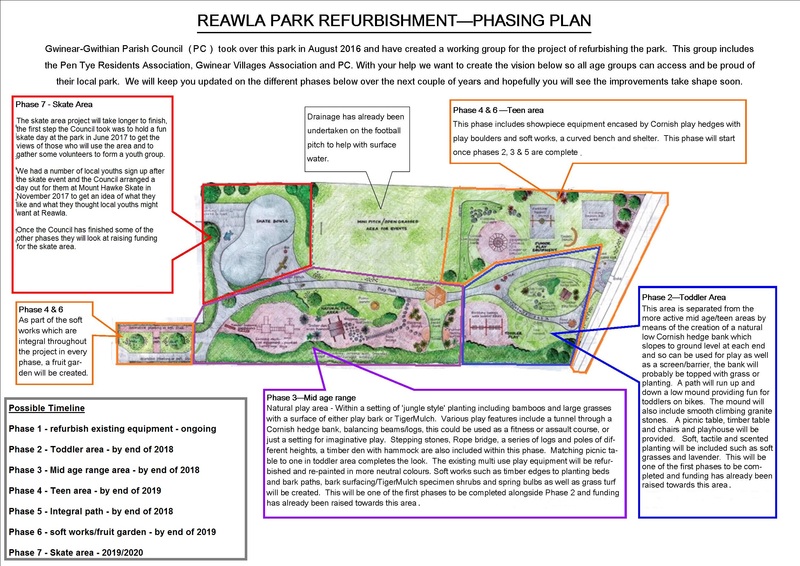 Two fun days have been held with the community, one in 2012 when the project to devolve the park started and one in 2017 once the park was devolved. 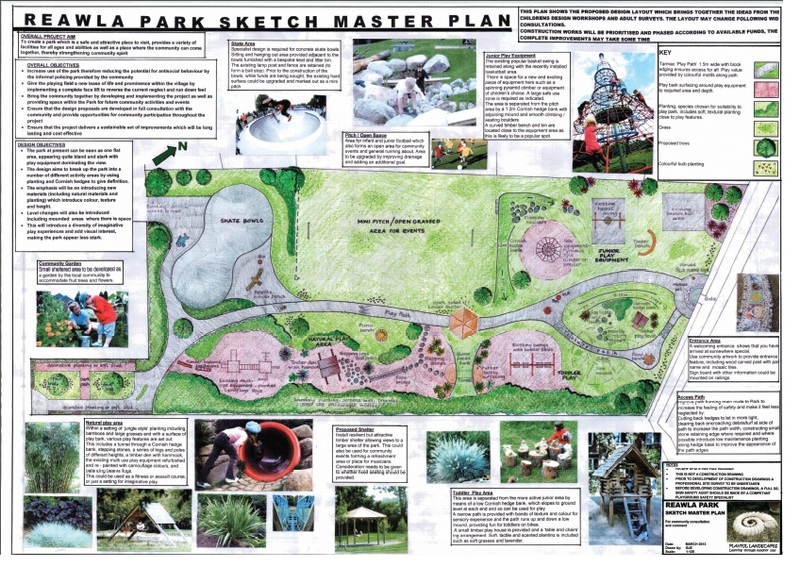 The fun days helped produce a master plan which the PC wants to make a reality. The PC then set up a Working Group (WG) with representatives invited from local groups and organisations who can help with project. 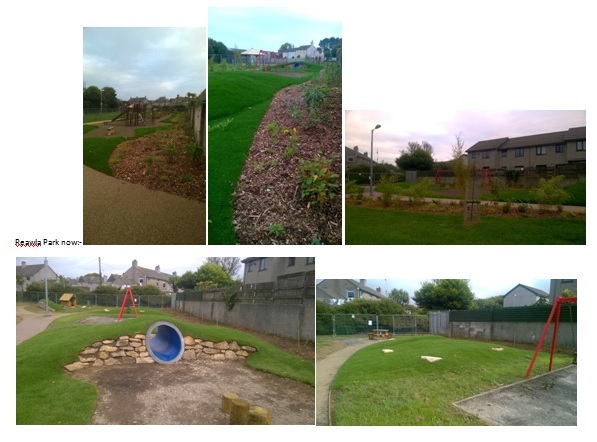 The WG consists of PC reps, Gwinear Villages Association rep, Pen Tye Residents Association rep and help when needed from the Community Pride Operative, Cornwall Council rep & Penwith Community Development Trust rep. 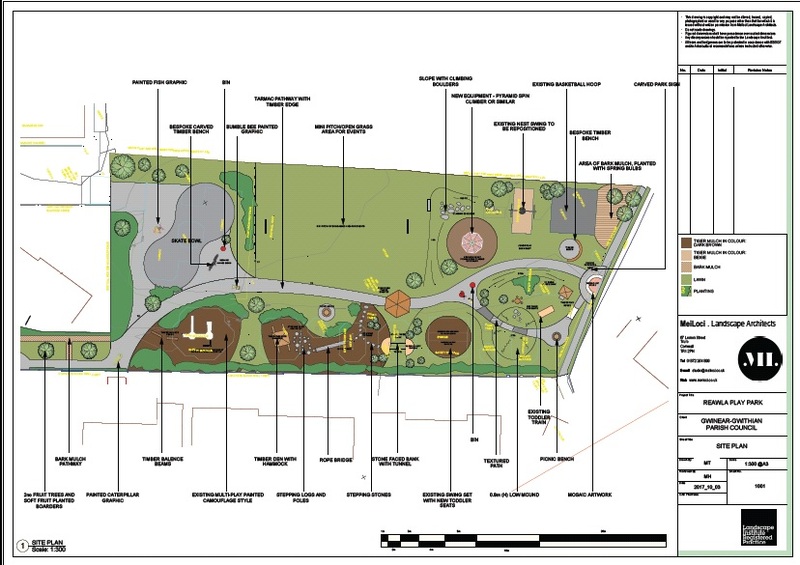 The working group will apply to grant funders and work with the community to refurbish the park completely.